The Winter Witch is a bit different than The Witch’s Daughter. The storyline doesn’t span as many decades, nor does it travel the world. It’s not set in modern times, but instead a couple centuries ago. It is just as wonderful, if not more so, than The Witch’s Daughter. The village Morgana grew up in knows she’s a little different. She doesn’t speak, not because she can’t, but because she just doesn’t. She has powers that she hasn’t been taught to control and that show themselves when the time is wrong. Her mother arranges for her to be married to Cai, a marriage that will take Morgana from home and hopefully away from the whispers. While she falls in love with the land immediately, it takes some time before she can admit her feelings for Cai. There’s a force in town working against her that will stop at nothing to get what it wants. Morgana is a fantastic character. She may not speak, but she finds ways to communicate as best she can. She doesn’t know how to handle the magic inside of her and she’s smart enough to know that’s a problem. She might have been impulsive as a child, but she has a little more control over herself now. Strong emotions are what bring out her magic. Even though the story takes place in the 19th century, Morgana does not fall into that submissive female role. She fights for herself and those she loves, doing what is necessary and right to save the people around her. Cai is not the strong, dominate male you’d expect from a period novel. He has a great respect for Morgana and views her more as his equal than his property. He wants to do right by her, something that he doesn’t have to do according to the standards of the time. He’s sweet and loving, and even though he misses his first wife, he is able to understand that she is gone, but Morgana is right in front of him. He’s also willing to act however he needs to in order to provide a wonderful life for Morgana. Mrs. Jones is one of my favorite characters of the novel. Her personality is perfect and exactly what Morgana and Cai need in order to find a happy life together. Mrs. Jones fills in as Morgana’s mother figure and gives her the love she needs to make the transition into married life as smooth as possible. The story itself was simple, yet beautifully done. It all centers around the love that Cai and Morgana have for each other, and how they will each stop at nothing to protect their life together. Morgana must fight the magical forces trying to separate them and Cai must fight the physical threats. They work fantastically as a team, both in the relationship and defending it. The Winter Witch is a wonderful, beautiful novel that will both tug at your heartstrings and have you sitting on the edge of your seat. It leaves a content feeling as the last page closes, one that lets you take a breath and relax. It’s a lovely novel and Brackston is working her way onto my must-read author shelf. This is definitely a good book to read if you enjoy historical fiction with some magic and romance thrown in, this is the book for you. 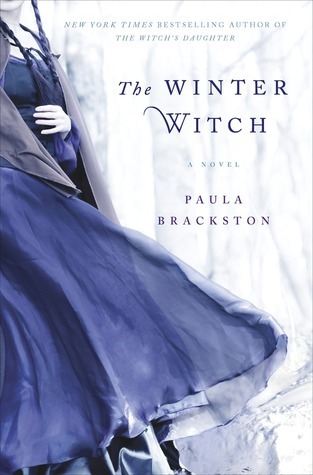 This entry was posted in Historical Fiction, Something a Little Different, Uncategorized and tagged Fantasy, Historical Fiction, Paranormal, Paula Brackston.